The university is one step closer to a new vision, mission and values statement, with a first draft scheduled for release by mid-June. "We've been hard at work since February, meeting with close to 1,500 people internal and external to the university, and reviewing over 4,000 responses to two separate surveys," said visioning committee co-chair, Liz Harrison. "Based on the information collected through consultation, and reviewing several institutional documents, the committee has started to put pen to paper to attempt to capture the essence of what we are hearing and reading." Harrison and her co-chair, Brent Cotter, indicated some of the prominent themes identified in consultations highlight the importance of the university's relationship with the Indigenous community, remaining grounded in our over 100 year history, ensuring we are recognized for making an impact locally and globally in areas of relevance to the needs and aspirations of the people of Saskatchewan, and the importance of fostering a supportive teaching and learning environment. Many of those with whom the committee has met are also challenging the committee to be bold in the statements that capture our university's distinctiveness. "Our greatest challenge will be condensing all the valuable information collected into a two-page statement about the university today and in the future that is accurate, meaningful and inspirational," said Cotter. "At the end of the day, we hope most, if not all, of our students, faculty and staff can see themselves represented in this document in some way." Once the draft is released in mid-June, the visioning committee will continue to consult and invite feedback to ensure the final version is representative of the university and its aspirations. In October, the committee will present a document to all three governing bodies—University Council, Board of Governors and University Senate—for final approval. 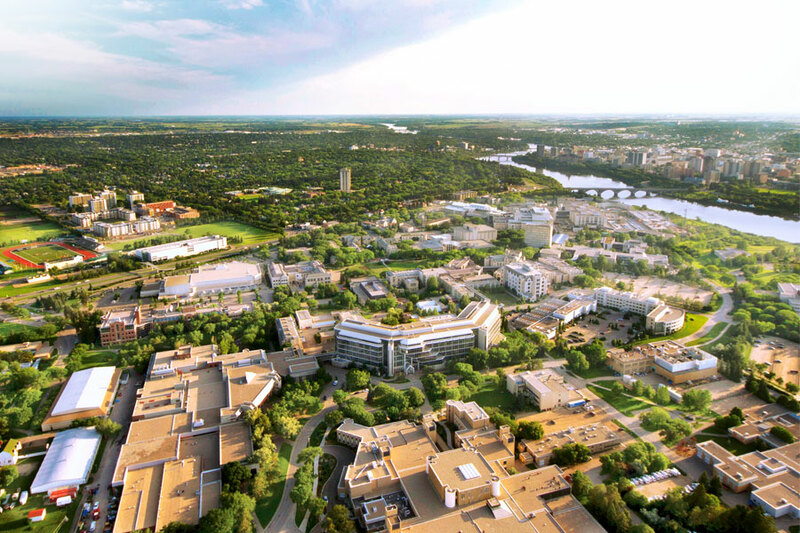 For more information, and to read the draft once released, please visit usask.ca/ourvision. Jennifer Robertson is a special projects officer with the Office of the University Secretary.